Resolving the discrepancies between the methodology adopted by IPCC in AR4 and AR5 is vital. Once those discrepancies are corrected for, it appears that the impact of anthropogenic global warming over the next century, and even as far as equilibrium many millennia hence, may be no more than one-third to one-half of IPCC’s current projections. Finally, suppose that remaining affordably recoverable reserves of fossil fuels are as much as thrice those that have been recovered and consumed so far. Then, the total warming we shall cause by consuming all remaining recoverable reserves will be little more than 2.2 K, and not the 12 K imagined by IPCC on the RCP 8.5 scenario. 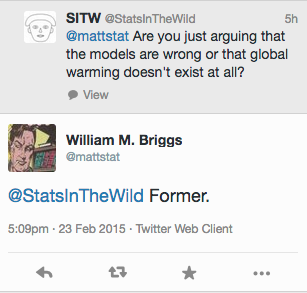 Let me repeat that: An author of the paper is acknowledging that global warming exists and that that they are simply arguing that the projection models are not correct. That is a reasonable argument. For the authors views on global warming see here. So here is where I lose it a little bit. Breitbart is overtly a conservative media organization and one of their favorite past times is yelling about the liberal main stream media. It seems like they found a paper that sort of fit’s their conservative narrative and then took the conclusions a step further (i.e. global warming was debunked). It turns out they’d [reporters] rather remain wallowing in their muck than learn about the subjects on which they write. So I failed. I was a fool to try. I let myself forget that I was dealing with a class of people where the gap between actual and perceived ability is not only wide, but is a gaping chasm. To expect mainstream science reporters to understand science is like asking an environmentalist to be reasonable. I should have remembered most journalists suffer from reporteritis, the degrading ailment whereby because reporters cover important people and events they come believe they are important, too. Sadly, there is no known cure. It seems like Brigg’s words (“It turns out they’d [reporters] rather remain wallowing in their muck than learn about the subjects on which they write”) could equally be applied to Breitbart. So here is my challenge to Briggs: If you are going to criticize the “liberal” media with such passion when they get it wrong, you should also criticize the conservative media with that same passion. 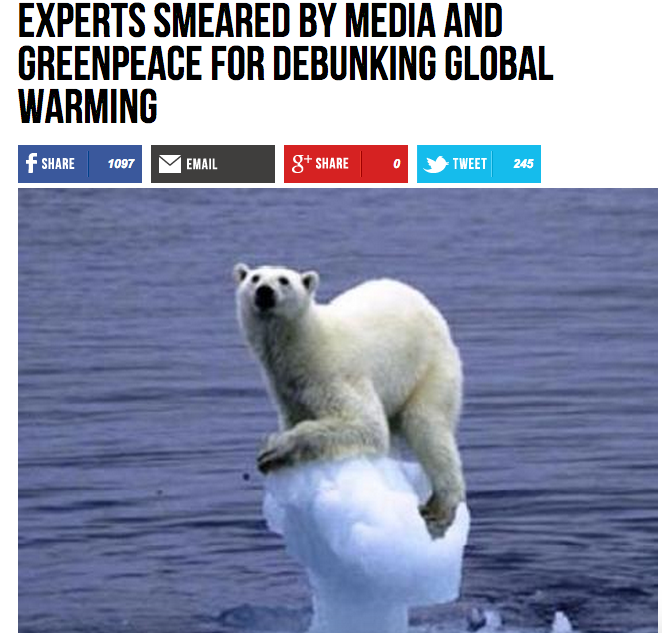 I look forward to your post of how much of an idiot the writers at Breitbart are. Posted on February 23, 2015, in Uncategorized. Bookmark the permalink. Leave a comment.